With the volume of discovery material growing and outsourcing of discovery and litigation support becoming increasingly popular, New Zealand firms are set to benefit from a new partnership between software and litigation support providers. Streamlined Litigation Support (SLS) has announced a strategic partnership with international software company EDT to provide enhanced data processing analysis and review tools to local firms. The partnership will, amongst other things, provide locally hosted document management and storage. “The partnership will benefit law firms by combining an NZ leader in eDiscovery services with an international review platform where the data resides in NZ with local experience, expertise and support,” said John Minn, CEO and founder of SLS. 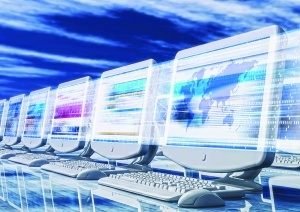 Minn said moving to an electronic exchange is common among New Zealand firms. He said the SLS EDT partnership will offer a much more efficient data storage solution. “One of the increasing trends in the market is the shift away the traditional in-house environment towards a hosted/outsourced model. This allows firms to directly attribute costs on the project by project basis avoiding the need for a static overhead,” he said.